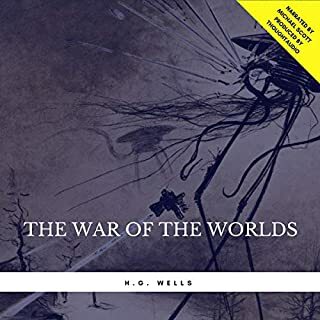 One of the world’s most recognisable sci-fi stories, H. G. Wells’ The War of The Worlds established numerous conventions for the genre, including the threat of an invasive extraterrestrial species, space travel and intergalactic conflict, inspiring directors, gamers, producers and writers alike with its sobering story of struggle and survival. Noone would've believed, in the last years of the 19th century that H.G. Wells would change the existing genre of "Invasion fiction" by adding the terrifying inhuman Martians. Noone would've dreamed that 80 years later a musical composer Jeff Wayne would use that story to make one of the most dramatic and intense albums of music. And now the two meet in a stunning audio drama. 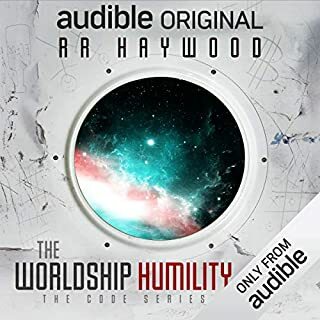 The beauty of Jeff Wayne's War of the Worlds, An Audio Drama is not only the addition of music but also a reexamination of the characters. In the book the protagonist is unnamed, simply being the author. 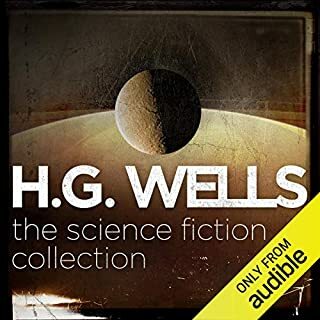 However this version adds a name George (as H.G Wells himself was called that) and most interestingly his wife Carrie who narrates a portion of the story. Together with the music and excellent acting this is the best telling of the tale. When I was a young child in the late 70's my father woke my brother and I up on a Sunday morning to the sounds of a new LP album he had bought the previous day titled Jeff Waynes Musical Version of The War of the Worlds. From that day to the present our whole family have been avid fans of that musical wonder. Through the years we collectively owned 5 copies of the LP, 3 copies on cassette, and 3 copies on compact disc. In his last years my brother and I were fortunate enough to have the opportunity to take my father to see the live concert conducted by Jeff Wayne himself... 4 decades later and we have never lost our love for it. Which brings me to this Audio Drama. While I was skeptical at first, it only took a few minutes of listening for me to realise that I never knew how much I needed this to exist. Finally, the music I have adored all of my life merged with the story that inspired it and lovingly brought to life by some truely amazing voice talents into a whole new version of that timeless tale. 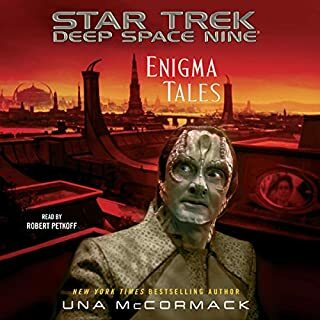 This audio drama in my opinion is worthy of the title Masterpiece! Anyone who is a fan of either the original story or Jeff Wayne's amazing album will love this. I can't praise or recommend it enough. 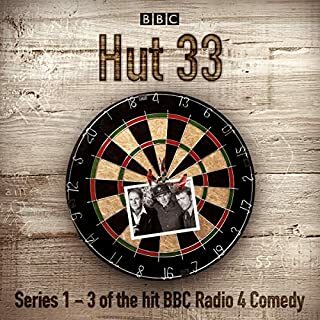 This is an excellent show! Classic scifi story go with very cool and intense music, actors all performed very well! I love it! Because Hollywood can't successfully make this. Every adaptation of this story has missed the point of the book. Except the album, musical and now the audio book. It never needed updating what was ever wrong with overconfident Victorians being slaughtered by alien mecha? Jeff Wayne certainly likes the sound of his own name. JEFF WAYNE'S "The War of the Worlds"... based on the novel by H.G. Wells. I've got to give him credit for milking this cow as long as he has. Originally creating a musical adaptation of the story back in the '70s, it's gone on to multiple live stage versions, an updated version of the album with a new cast and even a computer game or two. This time around it's a bit of a weird mix. It's not exactly a straight dramatisation of the story with Wayne's music thrown into the background. 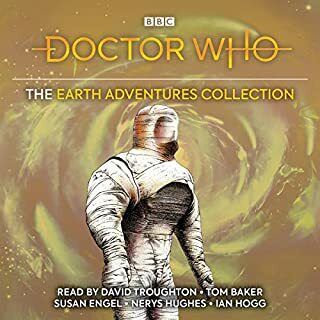 The narrator played by Michael Sheen more or less reads the story as written with some dramatised elements thrown in with other actors, sound effects and the musical score. For better or worse I always hear this music when I read the novel. I hear those terrifying opening chords when the fighting machine is first revealed in the flashes of lightning, I hear 'Dead London' when the narrator is wandering alone in the deserted city, and "Brave New World" when the narrator encounters the Artilleryman for the second time. So, it's interesting to finally have an adaptation with the music included. For the fans of the original musical, there's no singing, just the instrumental version of the score playing against the story, and for the most part it works. The story itself is mostly true to the original novel with some alterations. The narrator and his wife now have names, George and Carrie. The chapter where the narrator's brother recounts his adventures has been adapted to now feature Carrie, a change for the better as she's mostly a non-character in the novel (without even a name) so it allows the reader to become more deeply connected with their relationship and their struggle to find one another. The Curate has become Parson Nathaniel, and has a backstory that's closer to the character from the musical. There are times when the music feels a little too self indulgent as we have to sit through several renditions as the start and end of each chapter, but if you enjoy the music it's not too much of a distraction. 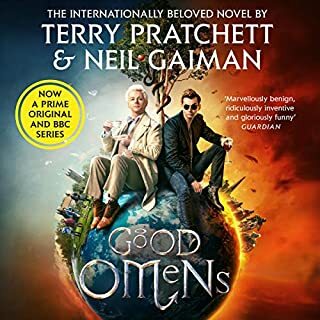 I'd say that this adaptation will appeal more to the fans of the musical than the book, so well done to Jeff Wayne for continuing to find ways to keep me interested in his adaptations. If you've never heard the musical you might find the interludes somewhat off putting, but it's still a solid version of the story. A recording that proves that one can indeed have too much of a good thing. This is the best audio version of War of the Worlds that I have listened to. 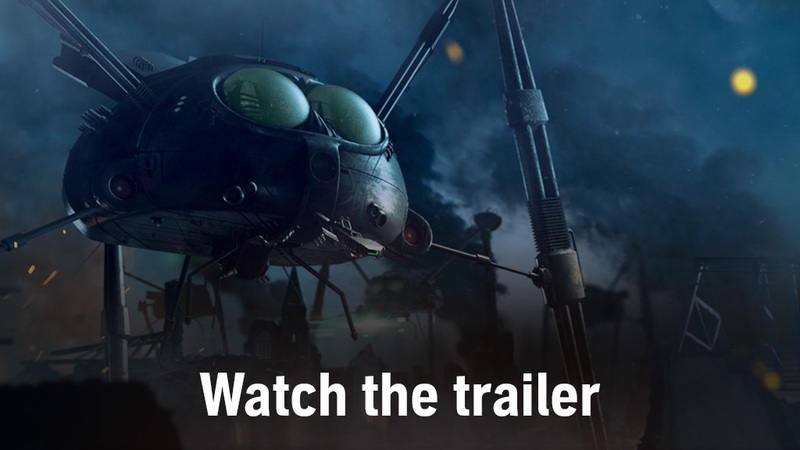 With background music by Jeff Wayne that is so well known to War of the Worlds fans. This is so well done and very entertaining. Jeff Wayne has taken something great and made it brilliant! If you're thinking about getting this, please understand this is not an unabridged telling of H.G. Wells' classic, nor is this a complete recreation of Jeff Wayne's musical; It is it's own thing. 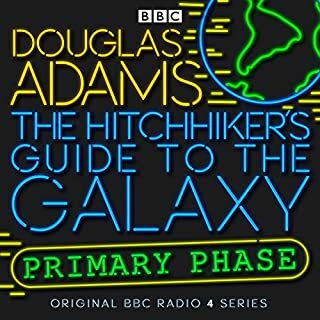 While the story beats are identical, with just extremely minor changes to help make the audiobook flow better. The narrative here is classic and well put together, as to be expected judging from the source material. As you can tell by the credits, there are a good deal of narrators, each playing individual characters from the novel, and each one does a spectacular performance. Michael Sheen does a jaw dropping job playing the main character (dubbed George in this rendition). You can feel the despair and loss as the story continues through his delivery. I was especially surprised with Anna-Marie Wayne's performance as George's wife. I wasn't familiar with her previous works but she blew it out of the water here. Everyone did a spectacular performance, and all the different characters were fun and interesting to listen to. Kudos all around. Now, we get to Jeff Wayne himself. His music from the Next Generation version of the musical is used all throughout the book. Individual music queues, sound effects and references are used in the appropriate time in the story to add the appropriate atmosphere. When the main character is at Horsell Common and you've heard Jeff Wayne's musical before; you already know what is being played in the background. However this isn't a complete copy and paste from the musical. There is some original or remixed pieces of music created for this, and that variation did actually keep me more interested. 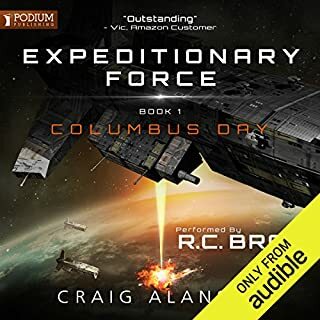 Also there is no singing in the audiobook, which means no Spirit of Man, Thunder Child, Eve of the War or Forever Autumn. There are call backs to it, but... we don't get to hear Justin Hayward singing about how the winter winds will be much colder in this rendition. I could go on about the sound design, and production quality, but this review is getting long enough as it is (I didn't mean to write an essay. Haha). 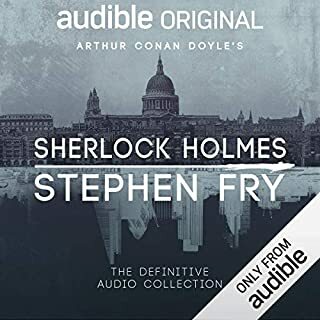 If you can't tell, I absolutely adore this audiobook. It captures the fantastic story about an empire's fall that helped defined a genre, paired with the music we've loved so well. If you're a fan of the classic H.G. 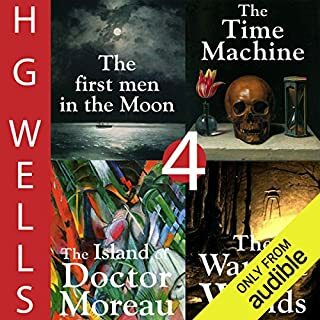 Wells' novel and have yet to listened to Jeff Wayne's musical, or if you're a fan of both. Do yourself a favor and pick this up. You won't be disappointed. I grew up in the 80s and 90s listening to the Jeff Wayne musical of War of the World on vinyl as my dad was a fan of it from the very beginning. WotW has been a part of my life practically since I was born, and it is important to me as something I shared with my dad who passed away about 12 years ago. I found out about this shortly after waking up this morning, and I had purchased it before I even had time to realize what I was doing. I do not regret this decision. The story is great (even with the deviations from the original, which I actually quite enjoyed.) The acting is great. The music is great. I just wish my dad was still alive so he could listen to this. 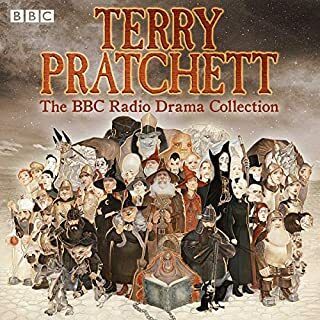 A more or less full cast production of the novel set against the backdrop of Jeff Wayne's wonderful musical score. 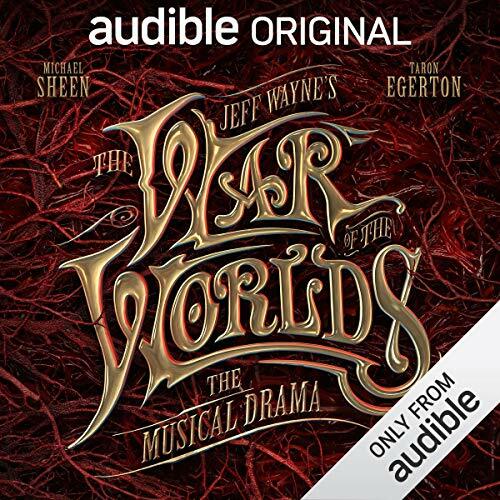 I have the original version of Jeff Wayne's The War of the Worlds Musical Drama, and at first I missed Richard Burton as the Voice of the Narrator, but Michael Sheen did a wonderful job, as did the rest of the cast. I felt I was there in several spots. 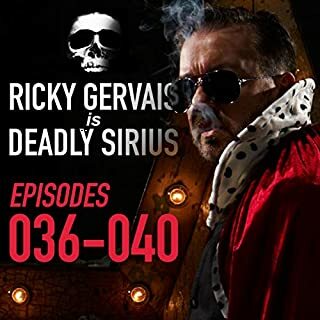 Very well done, very much enjoyed, very highly recommended if you're looking for a one sitting listen. And even if you're not. First, I have been a huge fan of Jeff Wayne's War of the Worlds since the original came out in 1978. I have collected nearly every version and format released since then, including the computer game. This version is amazing. It focuses more on the drama instead of the music, but the music is still there and sounds as great as it ever did. This is a good thing as this is a drama and the music is the focus on all of the previous albums and concerts. The performances are all top-notch. This version really adds some great new elements to the story, as well as keeping of the best parts of the original. As a huge fan of the original I absolutely loved this. If you have not ever heard the original, I would suggest that you should listen to it first. I believe that you might enjoy this more if you did. This is just a suggestion though; I think you will love this either way. Let me preface my review by saying that I have always been an avid fan of nineteenth century European literature, especially British. 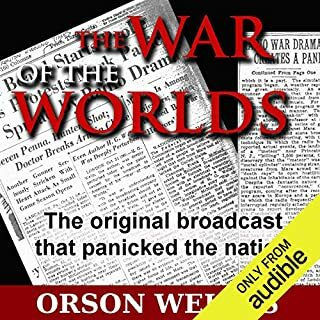 Wells' War of the Worlds is along my favorites, I've read it several times. Also, I've never heard of Wayne's musical from the eighties, until I read about it in a review here a few days ago, nor am I a big fan of musicals. I almost stopped listening to this in the first chapter, but pressed on, and I'm so happy that I did, because I very much enjoyed this musical. My first impression was that the music did not match the story, in my mind I was expecting the music to match the period. The music is a strange mix of mostly eighties arcade video game music, with occasional eighties rock and disco-like music, and even a few hints of dubstep. While I was initially appalled that one of my favorite classics would be defiled in this way, it really grew on me and, strangely, I came to like it. 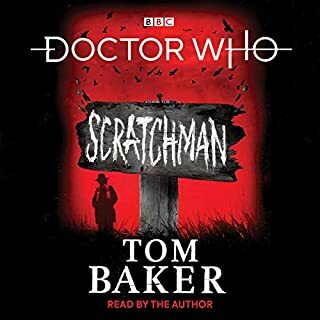 The sound effects were incredible, they did a fantastic job of painting a mental picture of the details of the story and creating mood...dread, hope, wonder, etc. The acting was excellent, and although the story deviated from the original by using the protagonist's wife as a major character, it worked very well. One thing that I did very much dislike about this musical was the addition of things and ideas from the wrong century. For example, the use of a gender-neutral pronoun (a 21st century concept) and a mosque in Victorian London (which did not exist until the 20th century). These details may seem minor, but they distract the listener from the story and show that the writer did not do any homework before altering the original story. Overall, this was amazing and I would highly recommend it, but with a warning not to expect the original Victorian version, but rather a Rocky Horror Picture Show version. A very interesting remix. I have long been a fan of Jeff Wayne’s musical and having his additions on music to the book was striking. Michael Sheen as the journalist was fantastic as was Taron Edgerton. My biggest complaint was that the songs weren’t in this version, just the background and symphonic stuff. I kept breaking out into song when I expected the music to lead that way. Weird to see the heat ray shifted away from the Ulla that I am familiar with, but I understand the change. Since this is based off of the musical, it finds a very natural home as a radio drama. Imagine the musical, but with the story fleshed out, foley sounds and instrumental music added and that is what you get. The cast performs brilliantly in telling the story with the music and sound effects. The music itself is very recognizable to fans of the musical- there are classic themes such as the Eve of the War, Forever Autumn and the Spirit of Man woven throughout. There is a slight update/difference to the music, for instance- Thunder Child's theme now includes some subtle (?!) dub-step, which actually fits very well and tastefully within the music, the Spirit of Man has a brass horn rendition that is very emotional, and many other classic themes have wonderful additions/differences, and yet still remain very recognizable. All in all this is an excellent rendition of the story with Jeff Wayne's oversight keeping it on track. I think it would work on it's it's own without prior knowledge of the musical, as it is very fittingly told as a radio style drama, but I will be interested to see the reviews of people who have no experience with the musical. It is not what expected at all, but also what I was hoping for and so...so much more. The voice acting, background sounds and sound effects, it was all so effortlessly easy to immerse yourself into. 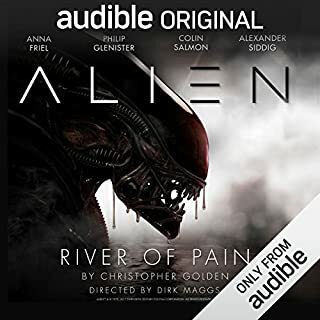 Good job audible, this is beyond perfection. Less music and more story make for something different with plenty of callbacks. Still great. Jeff Wayne’s War Of The Worlds, Great! 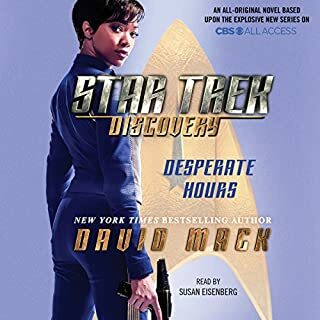 This was an amazing listen, Best dramatized book Audible has ever done. We want more of this, the music and dialogue went great together. This had a real sense of drama & emotion to it. If like me you still get a small frisson thinking of the words, No-one would have believed . . . they drew their plans against us, then put this right on your wish list! I can still remember the sheer awe I felt as a young lad when I started to listen to the cassette tapes I had received for my birthday and Burton's chilling opening words came out of the speakers like it was yesterday. Forty years on and this new version had me absolutely captivated from start to finish. It's the same story, just completely remixed and with a lot of additional sound and detail. That sound is fantastic, like many of the great bands the bass is high in the mix giving it full expression and the use of stereo is superb. Definitely one to be listened to with quality headphones and preferably not in noisy areas to get the very best out of it. There are great riffs from that glorious score, thunderous explosions and more subtle sounds too. The overall soundscape is the best I have experienced in an Audible production. The voice acting is top quality. Anna-Marie Wayne, who is Jeff's daughter of course, as Carrie and Michael Sheen as the journalist give outstanding performances and the supporting cast don't let them down by any stretch of the imagination. I never thought that anything could match the original. 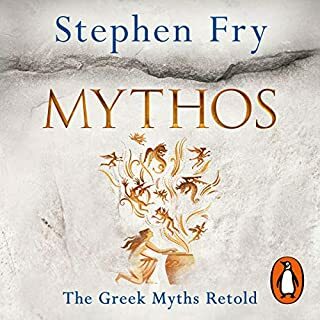 This is different and stands in its own right but those forty years were suddenly a mere instant in time and I was transported back through the decades to that same feeling of excitement that the younger Simon felt. If you can, just don the headphones, turn off the lights, shut your eyes and crank up the volume! An amazing array of talent and very well put together. This is War of the Worlds as it should be heard. This is not really what I was expecting, I thought the music would be more artfully woven into the story, but it just kicks in and makes me want to listen to the original album. I didn’t find it to be worth my time, maybe some one else would have a different experience. Finally we have a deeper insight into this classic story. I have loved the War of the Worlds since i was a child and have owned the original album on every new medim as it was released. The story is very well told and the performances are exelant. A fantastic old story told in a brave new way. I very much enjoyed this version but it feels like you probably get the most from this if you're familiar with the music from the original albums. A couple of the sound effects were bizarre, e.g. the early instance of the typewriter made it sound like the narrator was having a haircut. 1) Having the original (reworked) music without any of the singing felt like a missed opportunity. 2) Some of the strange warbly effects (and deliberate sound cutting out) at the end of some of the tracks was ridiculous. What was JW thinking? In summary, definitely worth spending a credit on but not quite perfect. 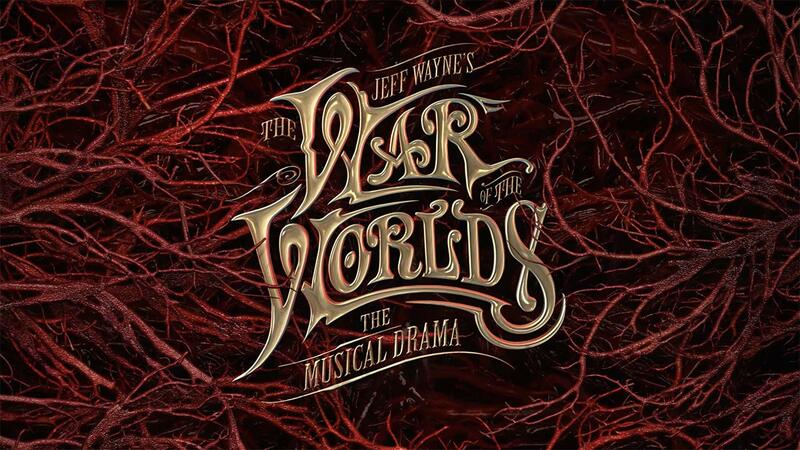 Jeff Wayne's The Musical Version of The War of the Worlds is a classic and must hear musical now this Musical Drama accompanies The Musical Version very well, I found it very gripping and at the end found I wanted more. The Musical Drama has the great instrumental music from Jeff Wayne's Musical Version along with great sound effects and audio acting. A gripping new way to tell the classic H.G. Wells story.